FAU Sports Informer: FAU Basketball Welcomes the 6th Man... and Maybe More! 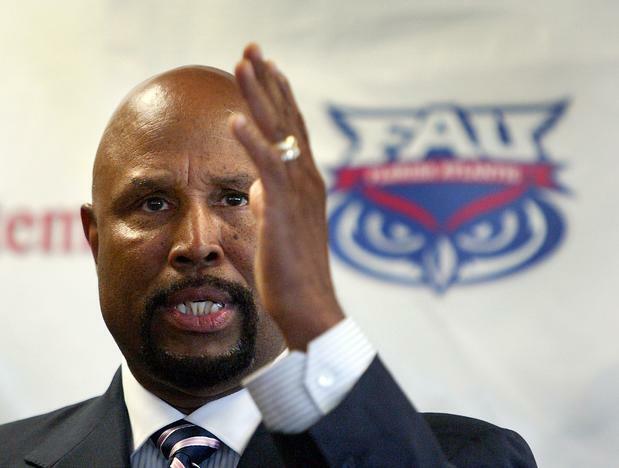 FAU Basketball Welcomes the 6th Man... and Maybe More! Jarvis and his Owls had a decent season this year, ending in a dissapointing 1st round loss in the Sun Belt Tournament. But, to look back any further and complain about our season is something not too many Owl fans want to do, especially Mike Jarvis. Coach Jarvis and his team of assistant coaches have been working hard for the past year recruiting players for next season. Many of you might recall the 7' Baylor transfer, Dragan Sekelja, who looks to bring the Owls a 'large' prescence in the paint, but has surprised many in practice by his long range ability knocking down 4 out of 4 three's at practice the other day. The Owls are losing two seniors that will be extremely missed by the fans, Alex Tucker and Shavar Richardson. However, I don't think the Owl fans will be too sad once they see the new team take the court next year. Jarvis has a few surprises for the Owl community bringing in probably 5 new players, plus Dragan (as mentioned above). Starting some buzz on the web, a 5'9'' guard from Orlando is Stefan Moody. Moody has amazed many coaches from around the country, and after some confusion in thinking he was committed to the University of Florida on a football scholarship, Moody is very interested in the Owls and Jarvis looks to rap him up very soon. With the students at FAU beginning to follow the Owl team over the past few years, the hype and excitement grows as a new organization called "the 6th Man Club" will look to get the student attendance 'up up and away' in the Burrow. SG Coordinator Mike Burdman has volunteered to be the faculty advisor and has very large hopes of the organization, and continuing the traditions of FAU Basketball success. With the Student Section in the Burrow still yet to be named, "the 6th Man Club" is definitley an attractive possibility. Looks like we have something to look forward to for the 2012-2013 season!